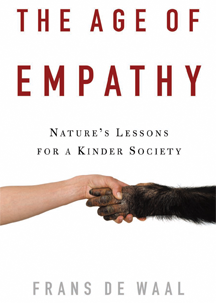 For about a decade before I wrote The Age of Empathy, I gathered information on the role of empathy and trust in society -- both human and animal. This material came partly from our own research, but most of it from all kind of external sources, recent articles on human behavior, pieces in the media, lectures I attended, clippings from newspapers, and so on. Stories of empathy and altruism are all around us. The funny thing is that when we’re talking about humans, no one sees any problem to ascribe behavior to empathy, even behavior about which I have my doubts. Is a seller of old cars really empathic when he asks about our children or is it truly empathy that drives a politician to tearfully hug the victims of an earthquake, as Berlusconi recently did in Italy? I don’t trust every display of empathy in the human species. But with animals, we have the opposite problem. 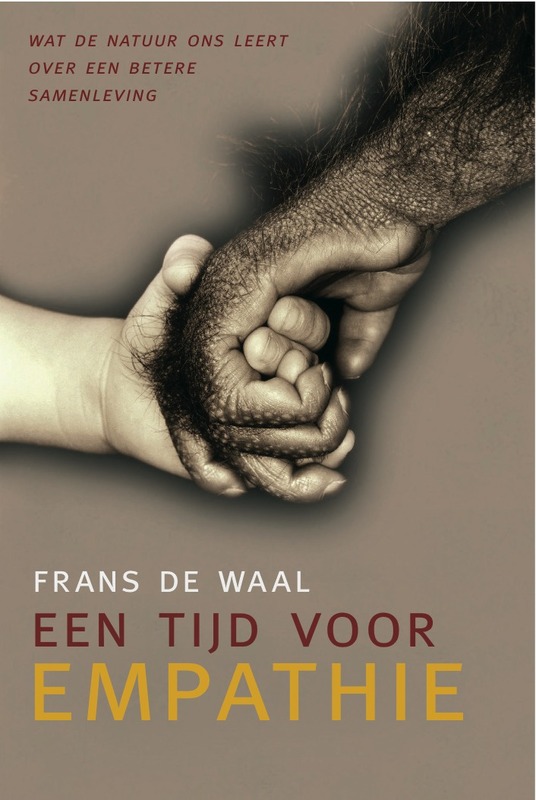 They may act in ways that leave no doubt in my mind, such as when a dog rescues a child from an attacking snake or when a chimpanzee goes over to the loser of a fight, and gently puts an arm around him or her, but there are always people who object to the assumption of empathy in other species. They argue that this is anthropomorphic. I fight this opinion in my book, as I have done in many others, because I am a strong believer in neurological and evolutionary continuity across all animals. For a recent essay on this topic see the recent one in Nature, and an older essay in Discover. The book has two main themes. The first is to analyze empathy and it various levels from an evolutionary standpoint, tracing its origin all the way back to early mammals. I would never exclude birds as potentially empathic, but so much less is known about them that I focus on the mammals. Many people have dogs and cats at home, so that they have no trouble understanding the connections that I make between human and animal empathy. The second theme is trickier, because it’s outside my area. This is the role of empathy in society, including human society, such as in politics, religion, the economy, and so on. Couldn’t we use a bit more empathy in society? I feel that the time is ripe for this question, since the emphasis on greed as the driving force has lately been exposed as extremely dangerous. It has brought us near financial ruin, and society is grappling with what to do next. In taking this two-pronged approach, I move back and forth between the behavior of humans and other animals (including neuroscience and evolution), and the larger social implications. Undoubtedly, not everyone will be happy with the latter, since it caries political implications, but for me it is hard to listen to conservative politicians explain that it is okay to starve the masses, that this is how nature works, and not to counter with what we actually know about nature, including human nature. Just to give one pretty unbelievable example of the lack of empathy in politics: Missouri State Representative Cynthia Davis recently opposed subsidized school lunches for low income children, claiming that "hunger can be a positive motivator." Stephen Colbert made fun of her. Aside from tackling Social Darwinism, my deeper interest is how empathy works. We know very little about this, but what we do know is that empathy is not some sort of cognitive construct, the way psychologists often like to present it, but goes far deeper. It is very much emotion based, mediated by our body and how it connects with other bodies. Empathy also involves neural structures far older than our species. This includes the famous mirror neurons, which do not get a whole lot of attention in my book – mainly because I am no expert, and for the moment we often have more speculation than knowledge. These neurons will undoubtedly be a big part of any explanation of empathy that science will come up with. I took great pleasure producing the drawings for my story. I am highly visual, and need to see what we’re talking about. I have always liked to produce art, and even at some point (long ago) wanted to become an artist. Most of the time I express this in photography, but the present book includes a series of black and white drawings. Click the illustrations below to see the description. 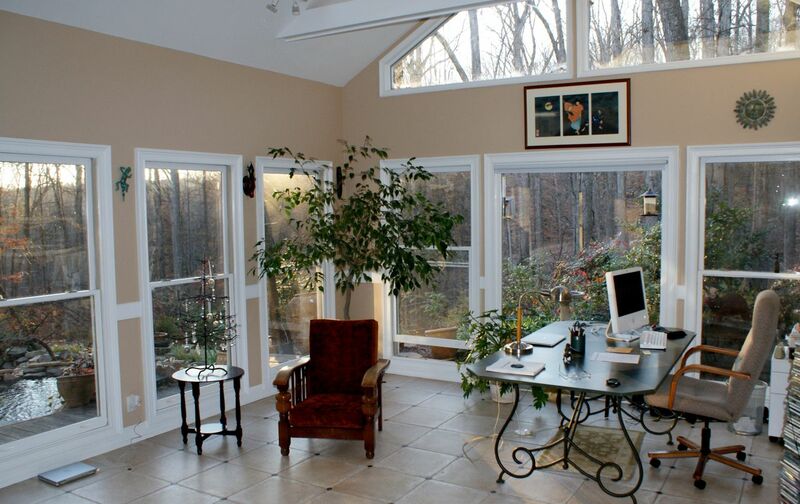 I also enjoyed the writing, which I did mostly in the evenings and weekends in my study, but I also wrote an entire chapter while in Paris, and worked on the book on the road, and anytime I had a few minutes to focus. The beauty of popular science writing, compared to scientific articles, is that one isn’t slowed down by reviewers who will weigh every little statement and object to anything slightly outside the mainstream. Progress in science is often slowed down by established schools of thought, which don’t like to hear any deviating opinions. In popular books, in contrast, one is free to say it the way one feels it is. Intuition is a major part of every scientific enterprise, and to express one’s intuitions in as clear and understandable a way as one can, is both a challenge and a privilege. In popular books, at least, one is allowed to stick out one’s neck. Now, don’t get me wrong. I do feel that the central claims of a book need to have the backing of data. Readers shouldn’t be misled by the many anecdotes, thinking that this is all there is. I use those mainly to liven up the text and keep the attention focused. Most of the time, the anecdotes are part of a larger body of knowledge. For example, I can tell about chimpanzee consolation, and give a few good examples, but there are actually studies that have documented hundreds of cases, and analyzed them in graphs and tables. Or, I can give an example of how monkeys react to unfairness, but again, the experiments that we and others have conducted take many years in which we test not just two monkeys but many different pairings under many different circumstances. Those who would like to see the “meat” of the research behind the book, rather than the stories that I tell, need to go to the note section and reference list. There are many serious studies that support the claims I make.